Forget the Hugos, Nominations for the 2015 Planetary Awards are due February 14th! In the Small Press / Self-published category, I’d like to nominate Karl Gallagher’s Torchship. Torchship is a hard sci-fi adventure story in the vein of Firefly* about an interstellar freelance cargo-freighter and its crew. Torchship is set in something of a post-empire future in which both Earth a sizable portion of the colonized worlds have fallen to a devastating AI rebellion, leaving a few highly advanced but paranoid cyber-isolationist worlds and a tough-as-nails frontier beyond. As a fully analog spaceship, the Fives Full is one of the few interstellar craft permitted to travel between the “Disconnect” and “Fusion” worlds. In the course of taking odd jobs to make ends meet, the Fives Full’s crew stumbles upon the opportunity to hunt for buried space treasure. The catch? It’s deep in the heart of the AI ravaged ruins of humanity’s former dominion! Torchship is Karl Gallagher’s and Kelt Haven Press’s first book; Gallagher’s amazing and Kelt Haven Press has a real winner on their hands. You should keep both of them on your radar. My interview with Karl Gallagher can be found here. * If Firefly were written by someone who actually knows a thing or two about spaceships and engineering. I’ll be hitting refresh on this Lulu page today until a purchase link for Sceptre of Morgulan goes live. * I’ve been taking a brief break from fantasy & science fiction to read John D Billing’s Hard Tack and Coffee: the Unwritten Story of Army Life in preparation for Avalon Hill’s Bull Run, but I plan to jump back into the fray soon! Guest post by Matt D. Ryan tomorrow. *The digital version is already out on smashwords and all the usual places. As you guys may know, I’m a pretty big fan of Matthew D Ryan’s Drasmyr books. In fact, it’s my embarrassing shame to admit that he’s probably the ONLY contemporary writer whose stuff I’m actively following. I need to get better about that, but when I’ve got a mountain of 40s and 50s pulp mags and 60s & 70s mass-market pocket paperbacks to read, it’s hard drop that and look at something new instead. So you know I think it’s a big deal if I’m going to squeeze something from 2015 in between the Leiber, Vance, Brackett, Swann and Offutt that I still need to get through. 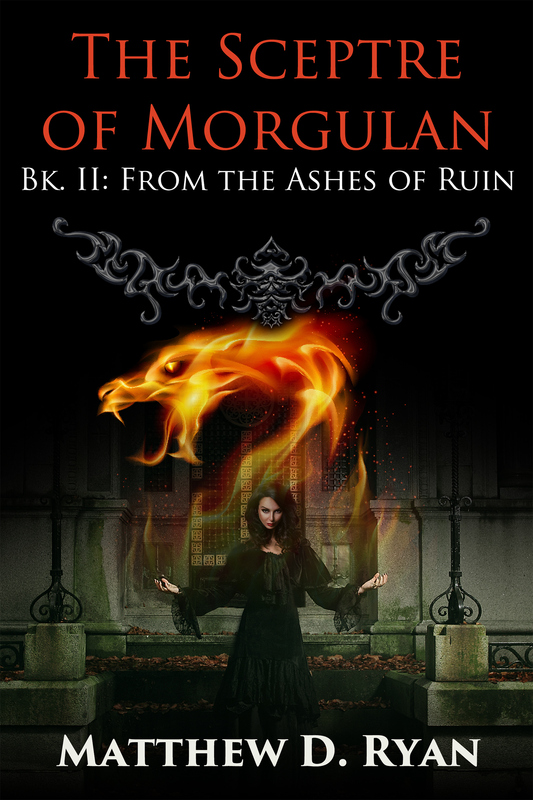 Pre-orders for the ebook of The Sceptre of Morgulan are available now through Smashwords. I don’t read eBooks, but I’ll feel just as good about plopping down $20-something for the hardback as I was for Children of Lubrochius. If you do read eBooks, you should have no problem dropping $1.99 on this. The eBook of Drasmyr is still free, but I STRONGLY recommend you buy the hardback copy. If you’re a gamer, like horror campaigns and Fritz Leiber-style fantasy settings, the Drasmyr books are worth checking out. A little over a year ago, I had Ryan here to answer some questions at Cirsova in conjunction with the release of the previous book in the series. With any luck, we can get him back to talk some more about gaming and fantasy!